Former England boss Roy Hodgson doesn’t see any reason why Sean Dyche shouldn’t be considered for the Three Lions post in the future. The Crystal Palace manager ruled the country for four years, overseeing things on an international front through two European Championships and a World Cup campaign. 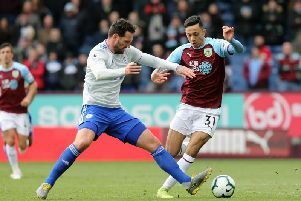 Hodgson, who has also governed the Swiss national team, the United Arab Emirates and Finland, believes that Dyche’s achievements at Turf Moor speak for themselves, adding that the FA should be taking note. “He is doing an excellent job,” said the former Fulham, Liverpool and West Brom boss. “He deserves the credit. He has built up a very good team and over the last couple of years he has got them playing well and picking up points in the Premier League. The praise is totally justified in my opinion. “Could he manage internationally? Of course, why not. The job of England manager is who the FA think is the right person for the job. Why should he not be considered? Hodgson also confirmed that the Eagles will be without Jeffrey Schlupp and Andros Townsend tomorrow, with both players leaving on crutches after Monday night's defeat at Brighton. They add to an injury list that includes Mamadou Sakho, Scott Dann, Joel Ward, Jason Puncheon, Ruben Loftus-Cheek and Connor Wickham.